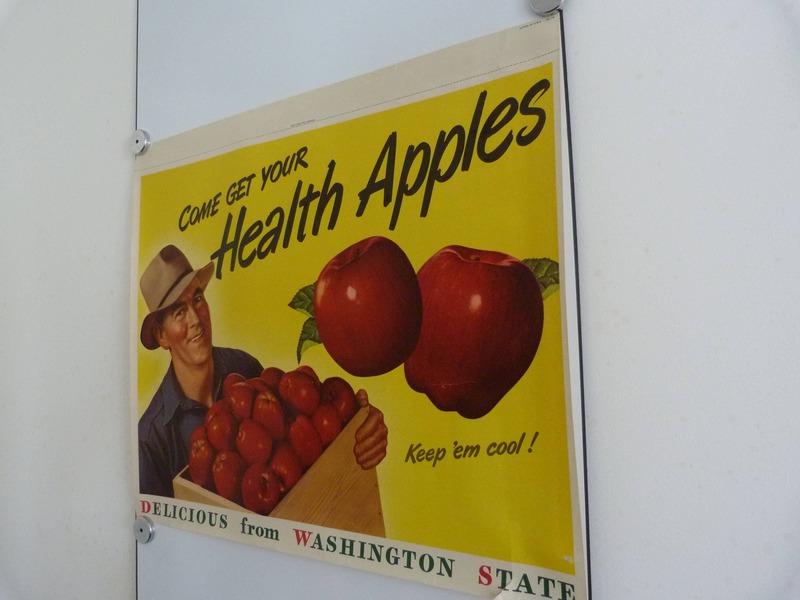 Wonderful original Washington state apple poster, the poster is produced on thin poster paper and is in good condition with some very light creases, and a 3.5cm tear in the right-hand corner and a small hole. (see the last photo). 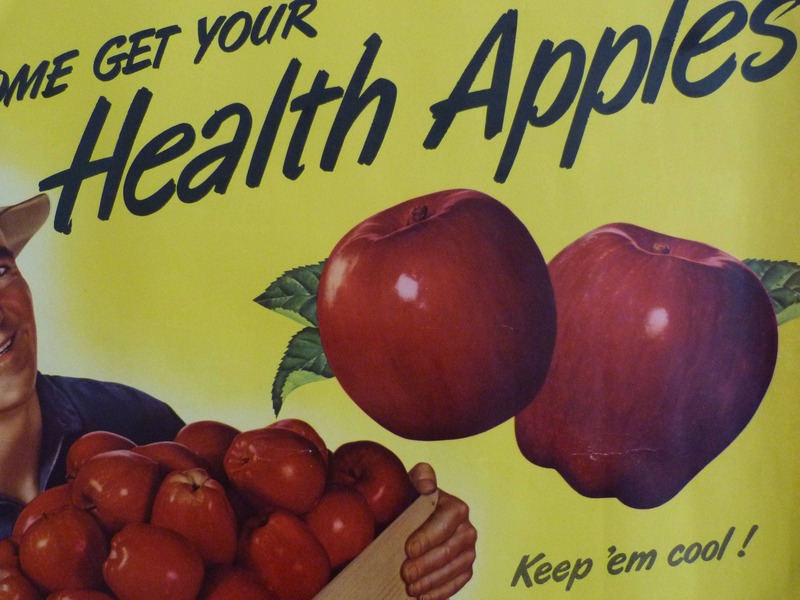 This poster still has its original fold line, ready to hang, to display your apples. 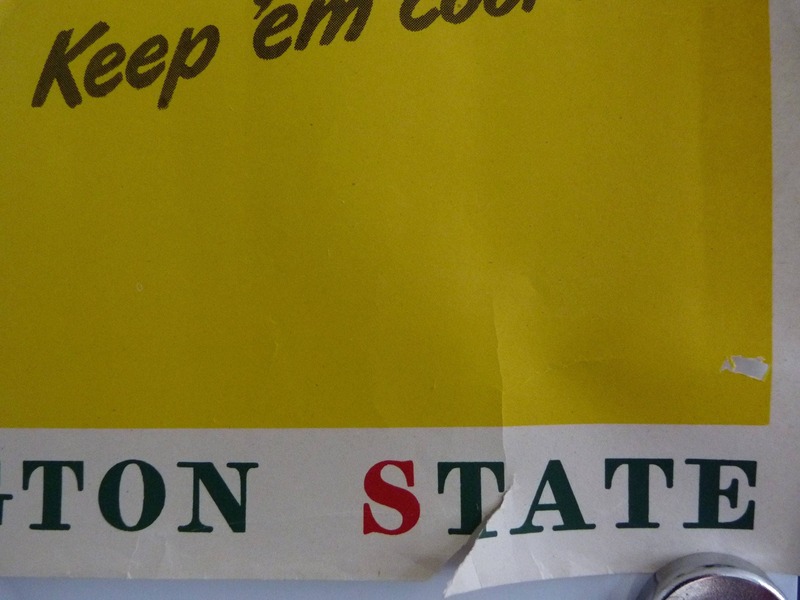 Measuring 60.7 cm wide the poster is 48 cm long if you were to fold along the line as printed along the top. 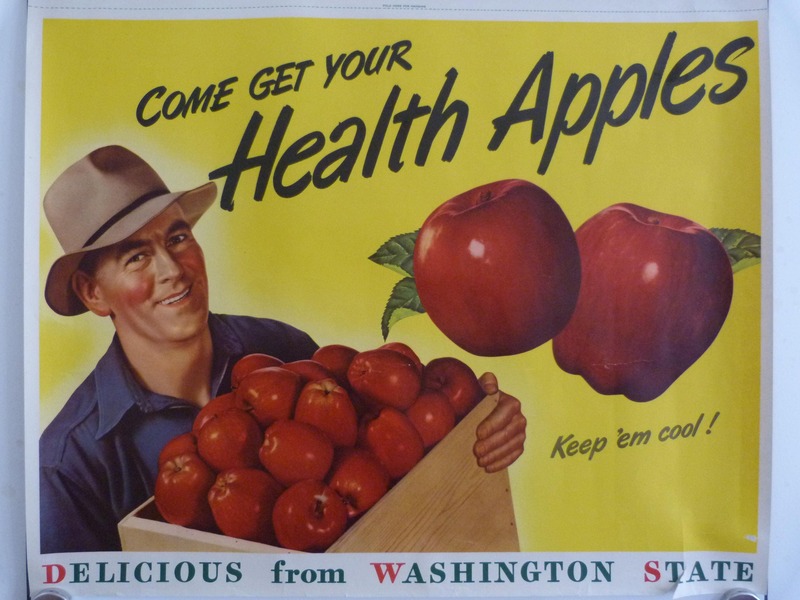 I estimate the age of this poster to be late 1950's, the poster shows a healthy-looking man with a huge box of shiny red apples, the caption reads "Come get your health apples, keep 'em Cool... 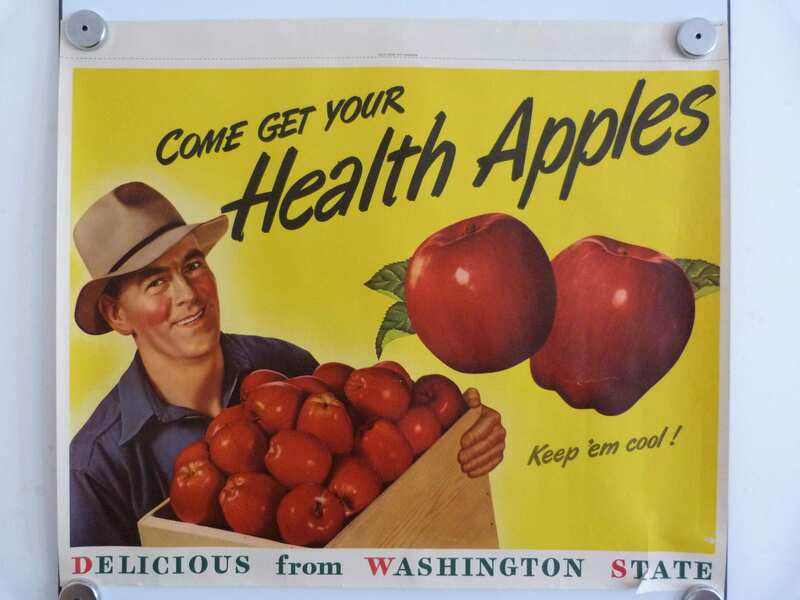 Delicious from Washington State. 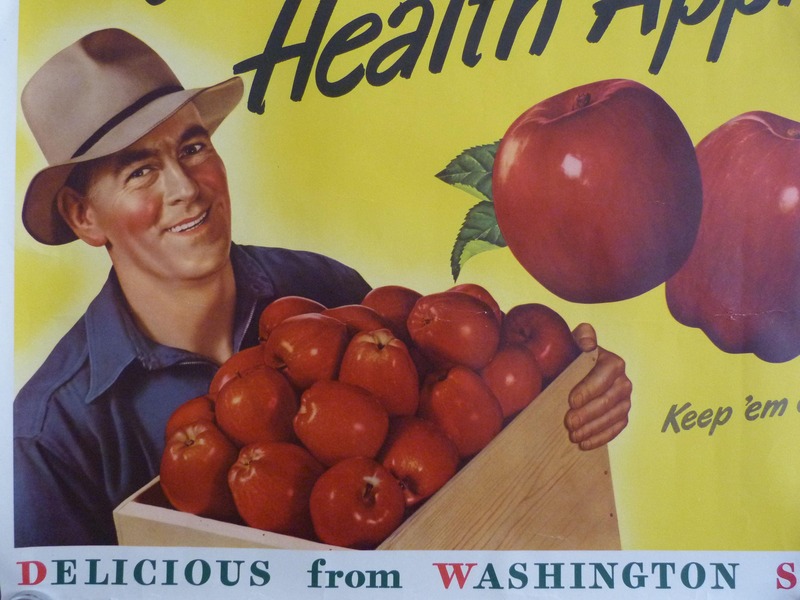 Washington State apples are still in production today, and if you're looking for information on the history of Apple production I highly recommend the bestapples.com website. 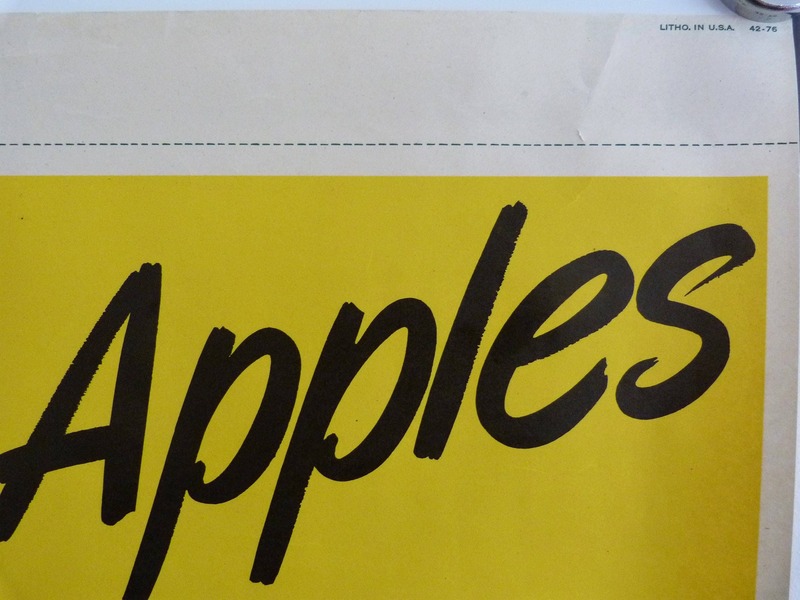 A wonderful piece of original apple history perfect for your kitchen, cafe, or restaurant. 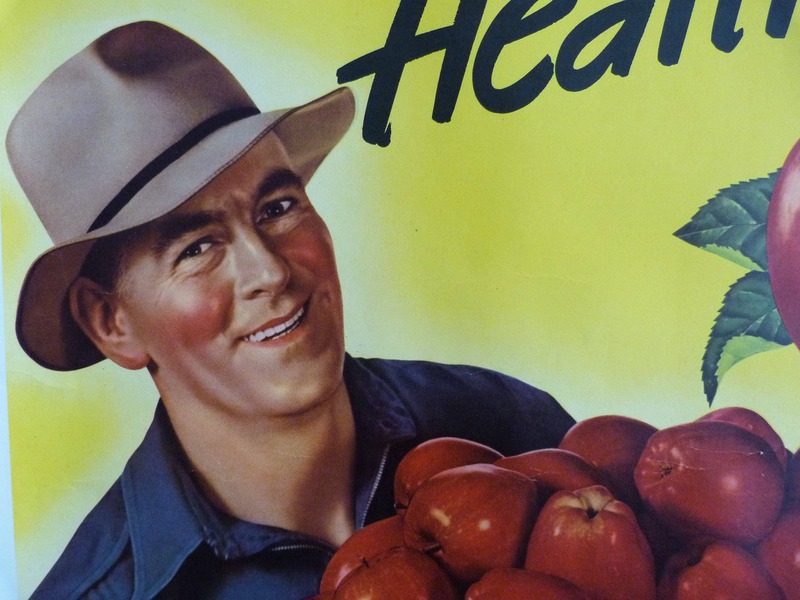 I have lots of wonderful vintage posters in my shop, if you wish to purchase more than one, please contact me and I can reserve and adjust the postage, which is usually about the same price no matter how many posters you buy.